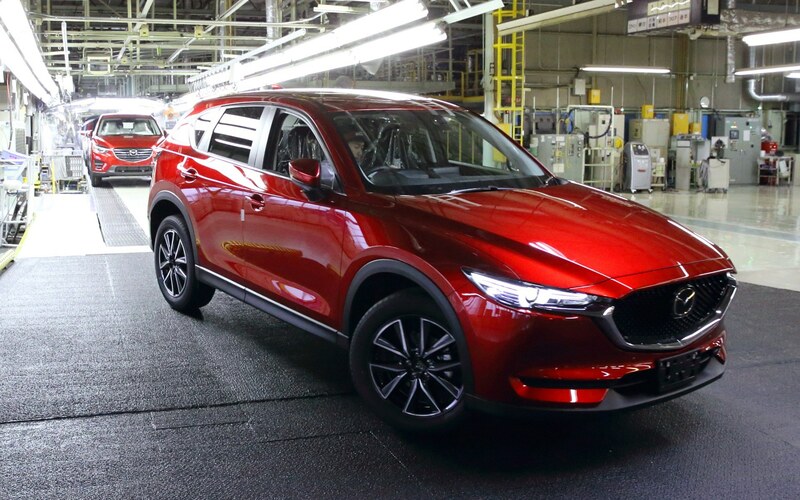 At first glance, the 2018 Mazda CX-5 looks like it would carry a hefty price tag; however, the sleek and sporty crossover SUV is well within budget for a family mover that comes with more than just the basics. But why would you want to look at a 2018 model? It’s close to the end of the year and you’re likely holding off on buying a new vehicle until the 2019 models are released, which is completely reasonable. But when you look into what this SUV offers, you’ll be happily surprised to find out how well-equipped it is with a not-so-scary 2018 price tag. What Does the CX-5 Offer? Let’s get right to it. There are a ton of options for families looking for an SUV that will have enough room to fit the kids, hockey gear and grocery bags. Not only does the 2018 Mazda CX-5 have a spacious interior for a crossover, but it also packs quite a bit of punch. It’s equipped with a SKYACTIV 2.0 Litre engine that will have enough pep to keep up with you no matter where you go. Plus, with i-ACTIV All Wheel Drive, Canadian weather doesn’t intimidate the sturdy CX-5 whatsoever. For being on the lower end in the price range, the interior was crafted with elegance in mind. You’ll feel like you’re driving a first-class ride without sacrificing comfortability. When you’re looking for a crossover SUV size vehicle, odds are you’re going to be carrying precious cargo all over, so safety is a top priority. It’s easy to see why the CX-5 scored the IIHS 2018 Top Safety Pick. Some of the most advanced safety features in the market come standard on all models. i-ACTIVSENSE has numerous safety features that will help alert you about potential accidents and lessen the impact if one does happen. Smart City Brake Support, Advanced Blind Spot Monitoring and Rear Cross Traffic alert are some of the key features offered to ensure a safe driving experience. Bigger vehicles usually come with bigger gas bills. Thankfully, that’s not the case with the CX-5. The improved SKYACTIV TECHNOLOGY gives it SUV capabilities while sipping fuel. Not only has the engine been redesigned to help with this but almost every small detail was taken into account. The SKYACTIV-chassis is lighter to give it a nimble feel for a larger vehicle. The Cylinder Deactivation kicks in when you’re cruising at a constant speed and shuts down two cylinders. This eco-friendly ride will be easy on your wallet while still giving you the power you expect in an SUV. Against all the competition in this ever-changing market with constant technological advancements, the Mazda CX-5 stands out from the crowd. No corners were cut to make this SUV a top performer while keeping an affordable price tag. If you’re looking for a vehicle with safety and the environment in mind, there’s no need to wait. The 2018 Mazda CX-5 has everything on your checklist plus a ton of extras.